What would you do with a €100,000 windfall? Moneycube has been evaluating the market for the strongest options if you’re planning to invest a six-figure sum. The portfolio in the table below is a great route to a highly diverse, great value investment run by some of the best fund managers in the world. Read on to find out why, and how to get your hands on it through one of our fund suppliers, Morningstar. (And remember, Moneycube can make it available to you even if you don’t yet have €100k on hand). First things first. It’s true that everyone’s circumstances are different, but the basic rules still apply if you happen to have €100k on hand. Don’t put all your eggs in one basket (such as an investment property). Your investment needs to be diverse. That way, if one part of your portfolio is going through lean times, other parts will be performing differently to balance out your investment returns. Fees can make serious inroads into your investment returns. Don’t get ripped off. In particular, consider paying for any financial advice through a flat fee, rather than an ongoing percentage-based commission. 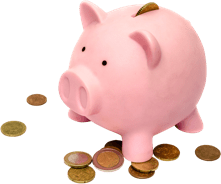 Make sure you have a cash sum for emergencies, and pay off any expensive debt (such as credit cards and overdrafts), and consider reducing other debt such as a mortgage. Moneycube believes a combination of two Morningstar funds, the Global Allocation Growth and Global Allocation Defensive funds, fits the bill for many customers. With €100,000 to invest, we’ll assume you can afford a moderately adventurous level of risk/reward. Putting three-quarters of your money into the Growth fund, and the rest into the Defensive fund, you’d end up with the portfolio in the table above. Here’s why this portfolio is so attractive. That’s after the fund manager’s fee of 0.6%. To access it, you’ll have to pay a platform fee (at Moneycube this is 0.5%), plus the financial advisor’s fee (whether time-based or commission-based). Because these funds don’t come via a life assurance company, you’ll also avoid the 1% government levy many investors are forced to pay. 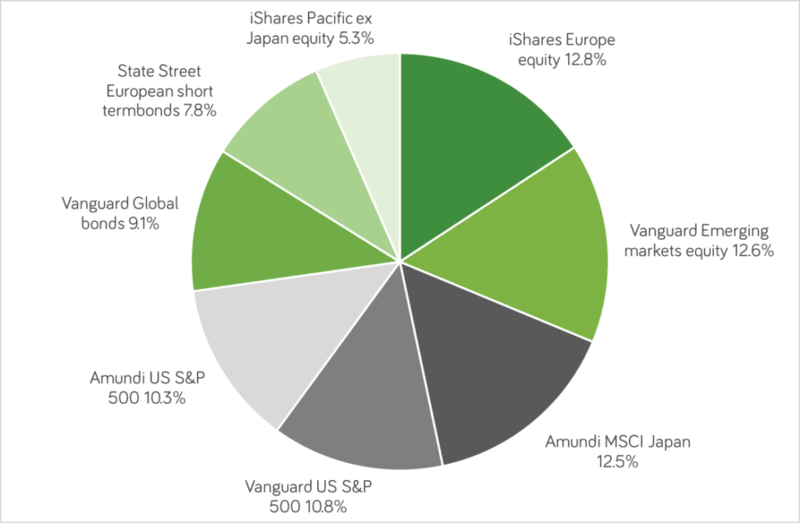 The portfolio is nicely spread among equities (67%), bonds (25%), and cash (7%). (And Morningstar make it choose a portfolio with increased or reduced risk/ reward levels if you want to). It also has a genuinely global exposure, as this chart shows. Morningstar, a byword for quality in global investment research, have put this fund together. It’s a ‘fund-of-funds’. In layman’s terms, it holds investments in a bunch of other funds. The funds is holds are mainly passively managed investments. They come from world leaders in passive funds. In fact, BlackRock/ iShares, Vanguard and State Street are the three biggest asset managers in the world, with around $12.5 trillion under management. These guys know what they are doing. If you are looking to invest a substantial sum in a professionally managed, diversified way, Moneycube believes investing in these Morningstar funds is hard to beat right now. Talk to Moneycube about how you can put your money to work.